We all want a good deal. That’s why we search for cheap airline tickets and end up on the Cheapo Airlines site (I’m not making that up!). But all the tickets put you on the same flight, so what’s the difference? On my last flight, I paid extra to get a seat in the middle of the plane, on the aisle. I got bumped to a different flight and guess what? Last row. Against the window. Right in front of the bathroom. Yep, not the same at all. But I still got to Chicago on time. Same thing with wedding flowers. One of the top-ranking searches is “Cheap Wedding Flowers.” You don’t want flowers that LOOK cheap, but you want to know you got a good deal. 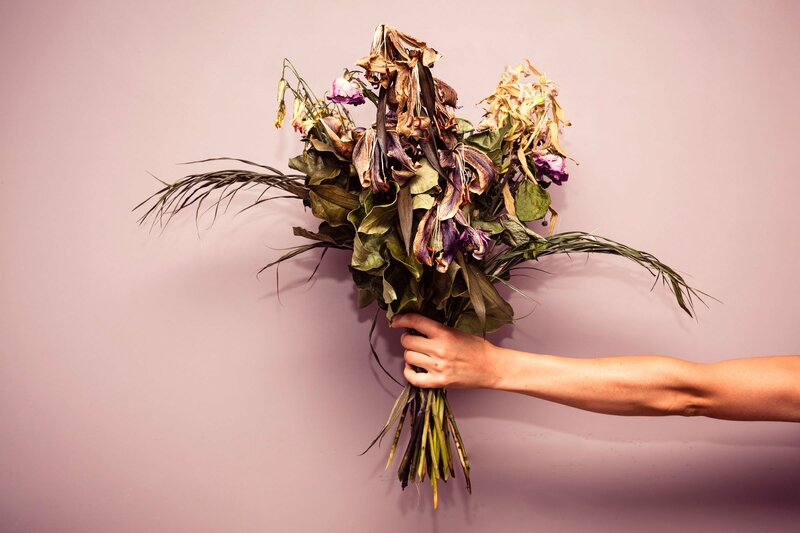 And why are wedding flowers so expensive anyway? 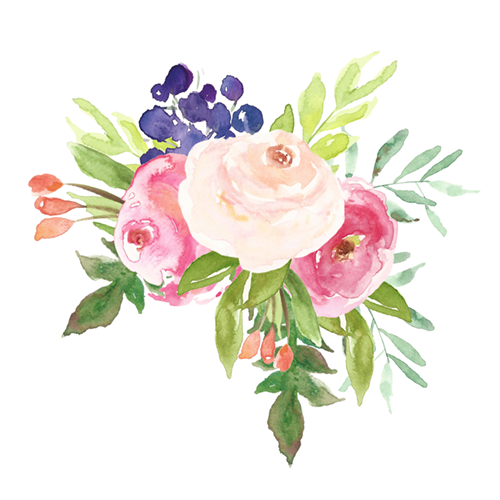 Is there a difference between cheap wedding flowers and expensive wedding flowers? Whatever you choose, you will still be married at the end of the evening (provided you didn’t choose the Cheapo Sort-of-Official Officiant). I’ll try to give you some answers and explain some of the differences in the flower and florist choices. Even if your flowers are grown locally like ours in the Garden by the Gate, it is a long and arduous road from seed or bulb to perfect bloom for your bouquet. It must be the right color, it must peak the week of your wedding (weather permitting), it must not have even the tiniest little insect nibble or water spot. That requires a lot of hard work, money spent on soil amendments and fertilizers, and plenty of luck. We grow some of our own flowers and when we buy them from local growers, they want to be rewarded for all their labor and investment. When we purchase flowers from a wholesale broker, the grower in South America, or Canada, or the Netherlands, has gone through all the same work as we do to grow flowers but then the cost of refrigerated transportation has to be added. After the flowers make the long journey, some of them don’t make it. These are a loss to the wholesaler or to us at the Garden by the Gate. When we get your flowers into the studio, we care for them like our own babies! We have to either gently encourage them to leave the nest and open up or we need to tell them not to be in a hurry to grow up so fast. 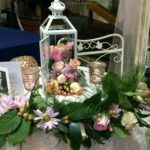 We want them to be just right for your wedding. Then we custom arrange them with care to your specifications and use techniques and mechanics to preserve them through the end of your wedding day. So the flowers aren’t cheap. 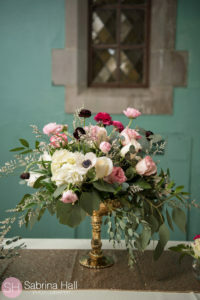 What is the difference between “cheap” wedding flowers and “expensive” wedding flowers? This is a huge topic that really could fill several blog posts! I’ll try to cover a few of the main points; send me your comments and questions and I’ll address them in a future post. 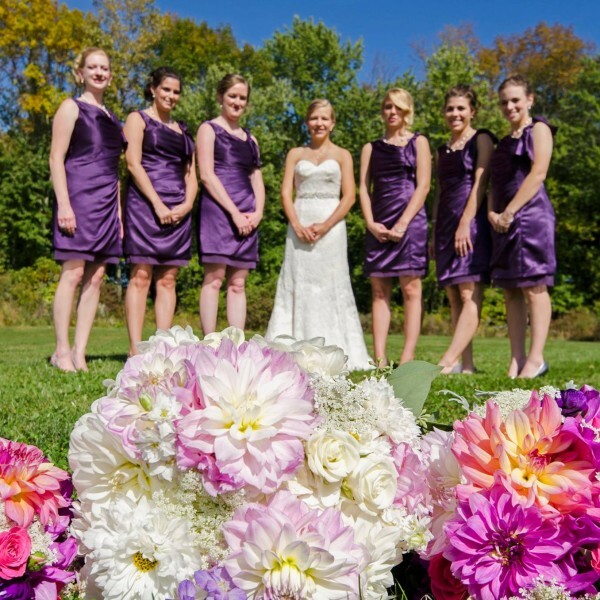 The number one factor in the cost of wedding flowers is type and quantity of flowers. When you show us a Pinterest picture and say “That’s what I want,” our first price estimate will be for those flowers and that design. Generally, if you saw it on Pinterest, it’s going to be expensive! If you want that look but need to trim the budget, just tell us! We can make some good substitutions or just change the formula a little to help meet your budget. These substitutions won’t make your flowers look cheap, you probably won’t even miss those other materials. Something that WILL make your flowers look bad, is outdated design. 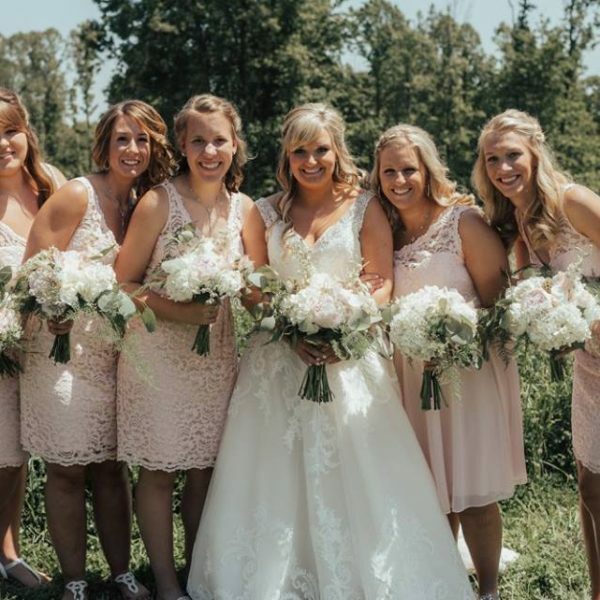 It might not even be cheaper, but if your florist isn’t following the trends and keeping up with what today’s brides are looking for in wedding flowers, your flowers may be a little boring and just look dated. At the Garden by the Gate, our design aesthetic is what we call “Garden Glam”. The designs are relaxed and flowing; so that they look like they were just picked from a field of flowers, yet they can be as elegant as you like. Bouquets are getting larger, looser, and have more greenery. Texture is king, so all kinds of berries, pods, or twigs can be used. 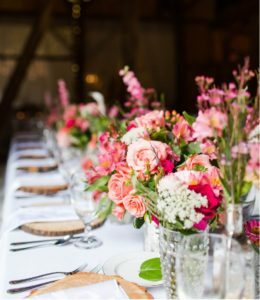 Unusual flowers such as protea or airplants draw the eye and make your wedding flowers much more interesting. 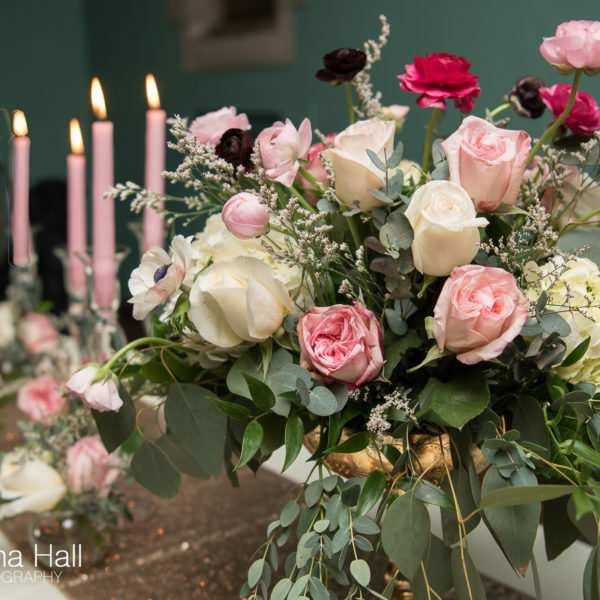 If you would like wedding flowers that are beautiful, chic, and just what you’ve always dreamed of, please fill out our Wedding Inquiry Form and tell us all your ideas.